Emily Myers is a senior at PHS and a staff writer for Bears Online. You can usually find her watching foreign films on Netflix, drawing faces on things, or taking a nap somewhere (anywhere). Her dream is to meet as many eccentric people and see as many unusual things as possible by traveling the world. 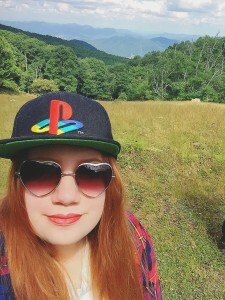 She loves hiking around her mountain home but plans to go to college in the city. Emily looks forward to being a little old lady living by the beach and telling passersby crazy stories about her youth.